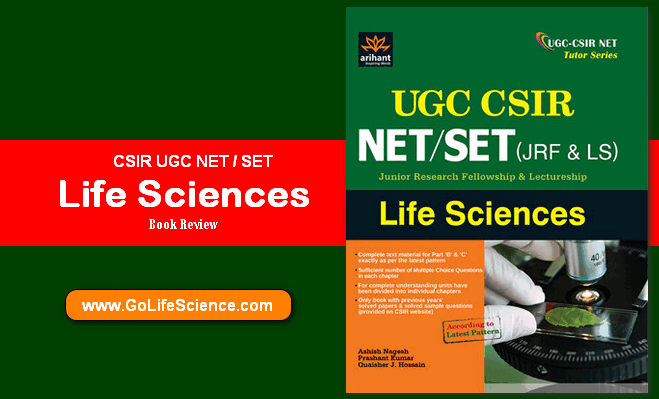 Ugc Csir Net / SET (JRF & LS) Junior Research Fellowship & Lectureship: Life Sciences is published by Arihant and authored by Ashish Nagesh, Quaisher J. Hossain and Prashant Kumar. It is a comprehensive book for the Life Sciences subject. The book comprises of sample questions and solved papers for the students. This book is essential for candidates applying for ugc csir net exams. Ashish Nagesh, Quaisher J. Hossain, and Prashant Kumar are are authors by profession. They came together to co-author this book for students who intend to apply for the UGC exams. Arihant is a publishing house. They have authored books like CS Foundation Fundamentals of Accounting & Auditing: A Dossier of 10 Practice Sets, Get an Insight of JEE Main Chemistry with Chapter-wise Solutions: JEE Main and AIEEE 2013-2002 with 10 Practice Sets, Unit Wise-Chapter Wise ICWA Foundation Organization & Management Fundamentals, Unit Wise-Chapter Wise ICWA Foundation Organization & Management Fundamentals and CS Foundation Business Environment & Entrepreneurship : A Dossier of 10 Practice Sets. 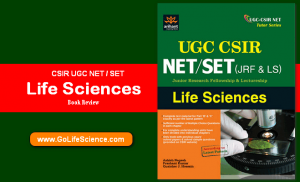 UGC CSIR NET / SET (JRF & LS) Life Sciences Book by Arihant Review. This is one of the good books to prepare CSIR NET Life Science examination preparation.